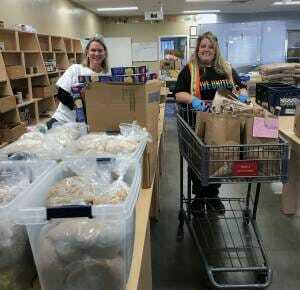 Terri Myers, longtime United Way volunteer and Shannon Buehler, United Way Board Member helping out during November’s Food Access Saturday. GRASS VALLEY, Calif. December 6, 2018 – This Saturday, December 8th will be the next United Way Food Access Saturday. During this month’s distribution, holiday dinner fixings will be included along with the regular bags of food. The Food Access Saturday program was originally created to help working individuals & families who need help putting food on their table. 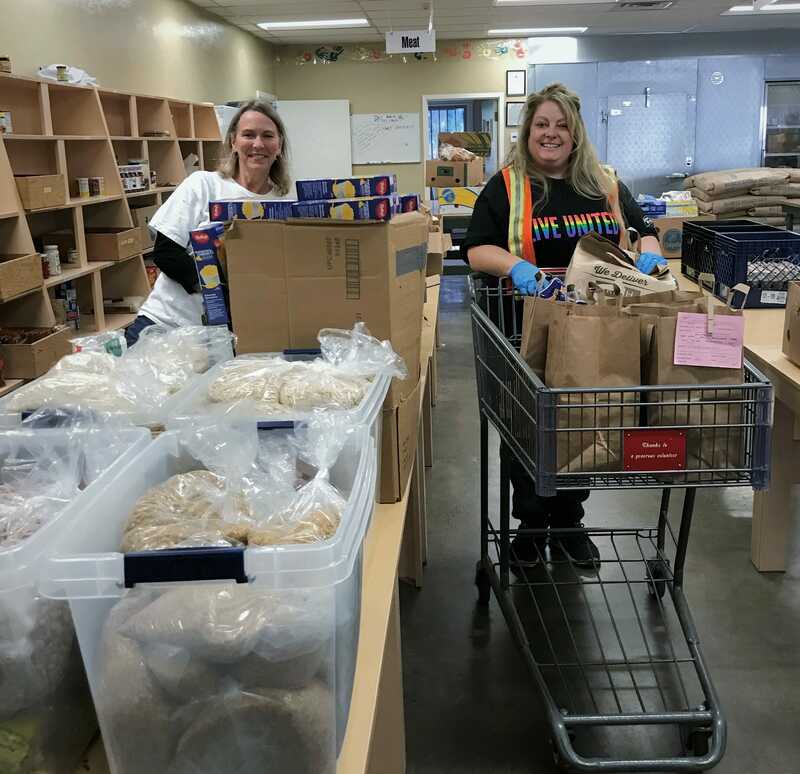 United Way of Nevada County, in partnership with Interfaith Food Ministry (IFM) distributes food on the second Saturday of each month. Food Access Saturday began in May 2017, and so far over 3,400 bags of food have been distributed to more than 1,525 individuals and families. Since its inception, the program has grown to encompass a larger population; welcoming others to the table. Through the Food Access Saturday program, anyone who needs food can pick up healthy groceries, including fresh produce. The program is open to all Nevada County residents who cannot make it to the food distributions Monday through Friday. The distributions take place at 440 Henderson Street, in Grass Valley, from 10am-noon on the 2nd Saturday of each month.